Xian Lim said he understands why he had to be pulled out of the upcoming movie, Ulan, starring Nadine Lustre. In August 2018, it was first announced that Xian won't be part of the movie anymore. Back then, he said he was clueless about the reason for his replacement. In October 2018, reports came out that Carlo Aquino already took over his role. During his PEP Live session on January 29, PEP.ph asked Xian for the real reason why he won't be part of the film anymore. He answered with a laugh, "Actually, 'di ko rin alam kung ano nangyari." The 29-year-old actor then said that he understands what happened. "But they informed me na... I think, usually, naman sa production nangyayari yun. "I think everyone was just really excited in terms of promoting it. It was just a meeting kasi noong time na yun, e, and we weren't really aware na they were gonna release it [agad]. "I think it's more of changes talaga sa production, e. I completely understand and hopefully, in the coming projects, I'm still hoping to get to work with all of them." 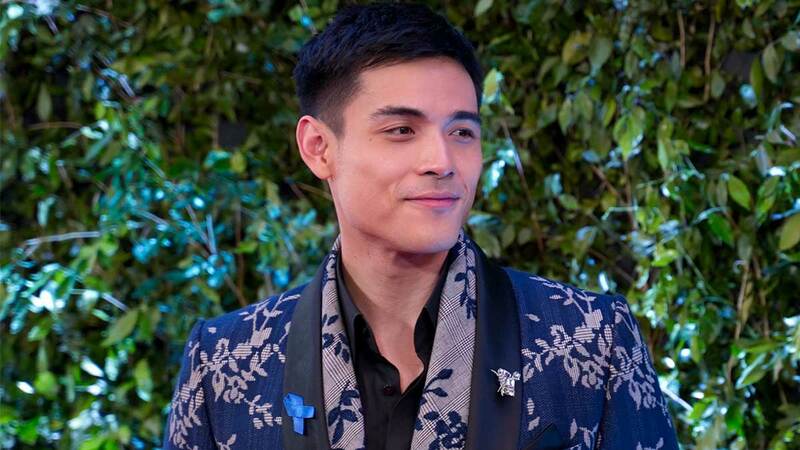 Xian also set the record straight regarding his exclusion from the film. "Yun nga, to be ano, iku-kwento ko lang yung nangyayari sa production, talagang nagbabago, e. Siyempre sa schedule, hindi nagtutugma. "The team behind the production, napakarami, you see the actors but behind it, there's like 20, 25, 30 people there or more so kailangan magtugma lahat ng schedules and the actors as well. So yun, may mangyayari talaga at mangyayari." At present, Xian is promoting his movie with Louise delos Reyes titled Hanggang Kailan?, which will be showing on February 6. After Hanggang Kailan?, Xian will focus on his first directorial job. He is a finalist in the 2019 Cinemalaya Philippine Independent Film Festival, which will open in August. Talking about his project, which he will direct and produce, he said, "I'm really excited. Apart from doing this movie, after every pack-up, after everything that's been said and done, lumilipat kaagad ako dito. "Me and my team have been working so hard to make this right, para masunod lang yung vision ko. There are so many things to consider but at the end of it all, masunod lang yung vision ko." Xian has already started filming but he could not disclose details for now. "We actually started na pero marami pa kami shooting days na kailangan. "Hintayin muna natin si Cinemalaya. Magre-release sila. What I can say is yung genre is under mystery, so yun muna for now."